Farmers and crofters are urged not to leave it until the last minute to apply for their Common Agricultural Policy (CAP) payments. 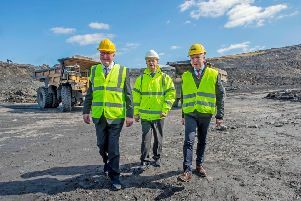 Rural economy secretary Fergus Ewing is reminding farmers the deadline for application is midnight on Wednesday, June 15 for both their Single Application Form to get CAP payments and Beef Efficiency Scheme claims. The cabinet secretary said: “We are well on track to get all applications in on time for the 2016 SAF and BES. We know the last seven days of the SAF window are traditionally the busiest – with almost 6,500 of last year’s SAFs submitted in the final week before the deadline. Scotland’s Chief Agricultural Officer David Barnes added:“With just one week to go until both the SAF and BES deadlines, farmers and crofters should ensure they get their applications in as soon as they can. The system is still new so filling in the SAF may take longer than it has done in previous years. BES applications are made separately on the ScotEID website. With all of the correct information to hand, it takes about 15 minutes to complete your BES claim.